In ‘Falconet dans l’orbite de Boucher ou une amicable admiration’ in Falconet à Sèvres 1756-1766, Ou l’art de plaire, MNCS 2001, Françoise Joulie and Selma Schwartz discuss the 17 drawings formerly in the Paignon-Dijonval collection (catalogue of 1810) that were attributed to E-M Falconet. They were described as “au crayon noir et blanc sur papier bleu”. Alaistair Laing concludes that this is one of these. 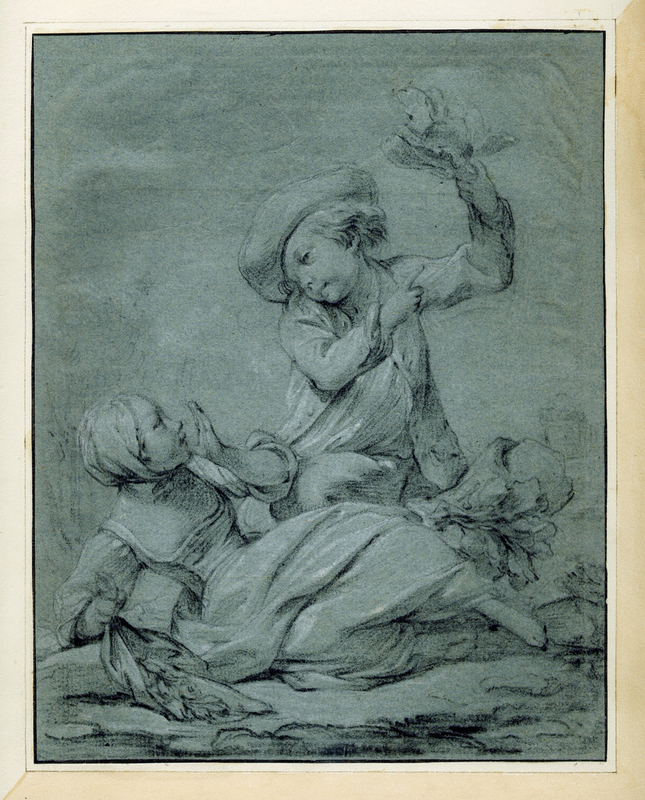 Selma Schwartz mentions that two others can be traced (in the Ashmolean Museum, Oxford and the Cooper-Hewitt, New York) and goes on to say that they should be attributed to Falconet fils (that is Pierre-Étienne) since they appear to be the drawings after the biscuit groups prepared for the engraving of 1763. In considering the two of the series that she has traced she points out that background details in the drawings can be matched exactly with the engraving (as they can with this drawing). 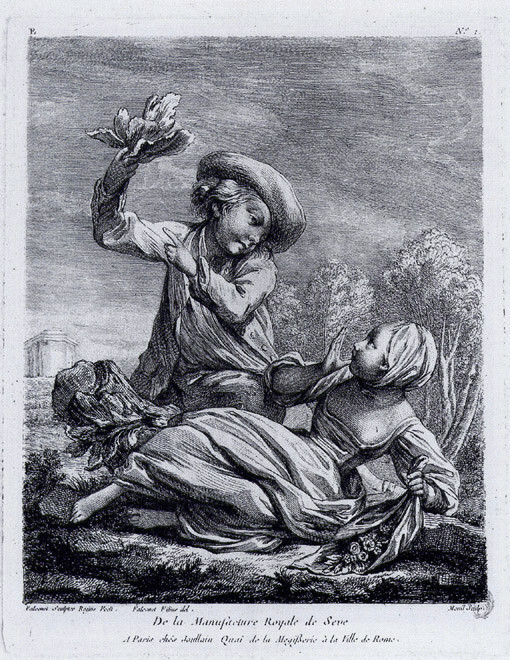 The biscuit group of La Feuille à l’envers is a model original to Etienne-Maurice Falconet of 1760, the girl is adapted, according to Alaistair Laing, from an engraving after Boucher’s lost painting Les Aman[t]s Supris. 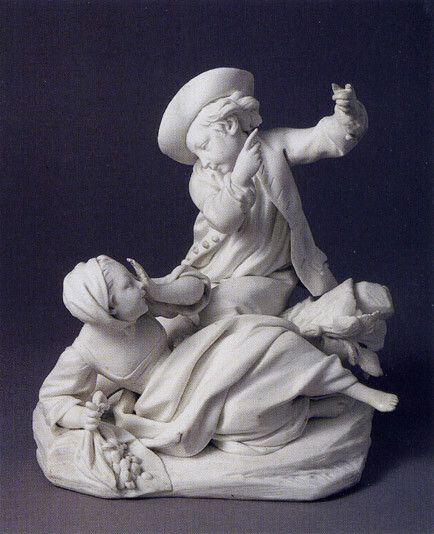 The engravings were intended to be a record of Falconet’s Sèvres biscuit models.